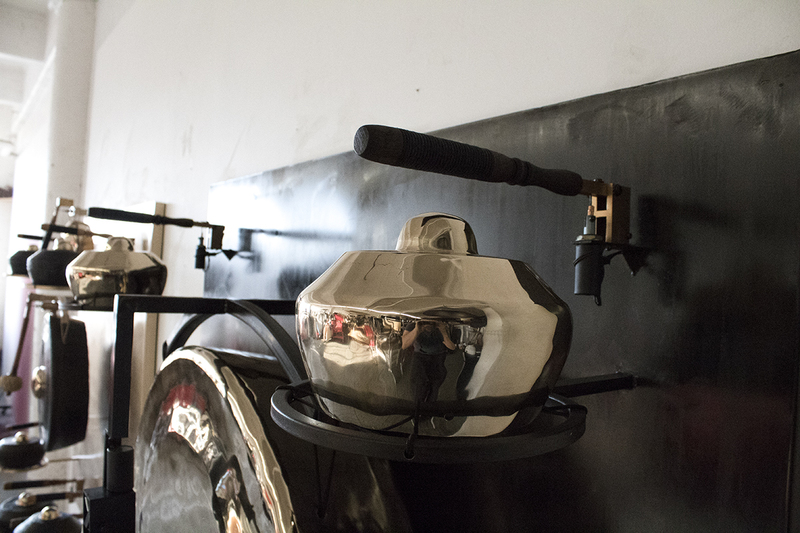 Description: Gamelatron "Jiwa dan Raga" literally translates to "Body and Soul." 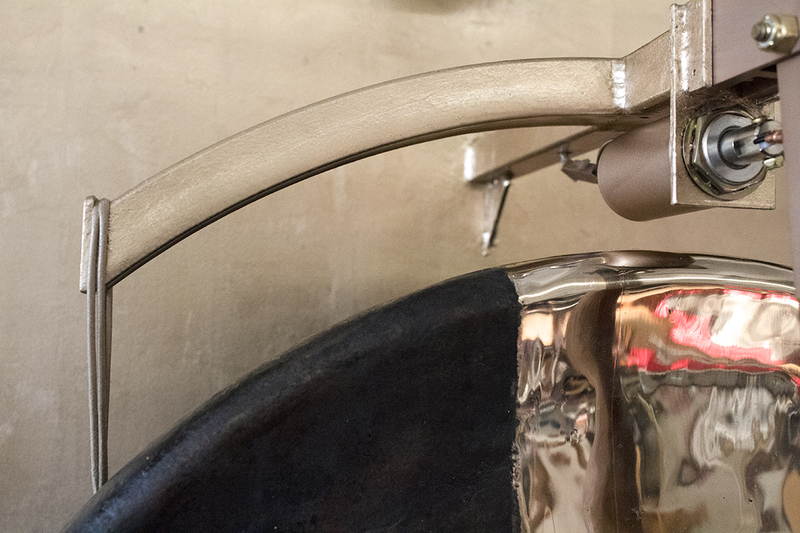 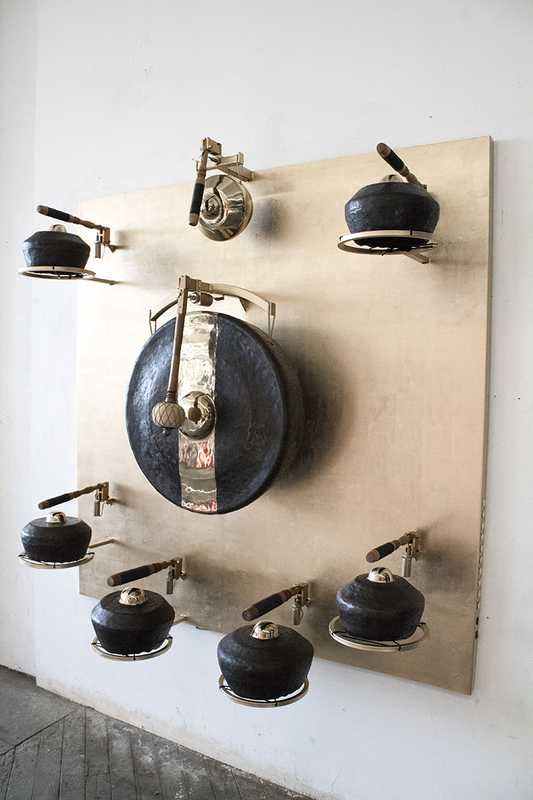 Steel gilded in 22k moon gold with bronze anodized and teak wood mechanical mallets. 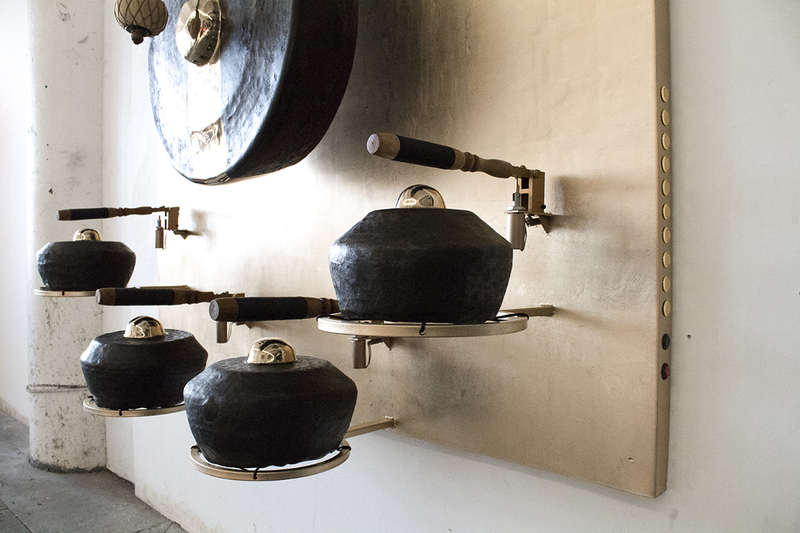 Patinated steel with bronze anodized and stained teak wood mechanical mallets. 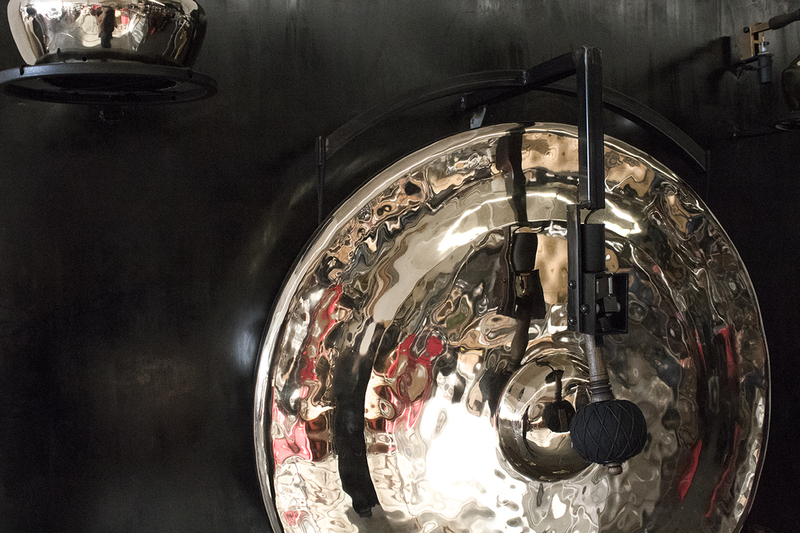 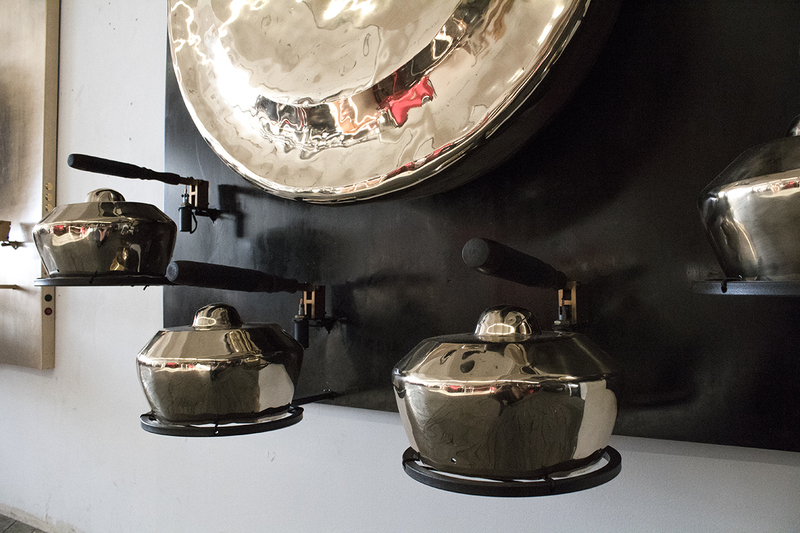 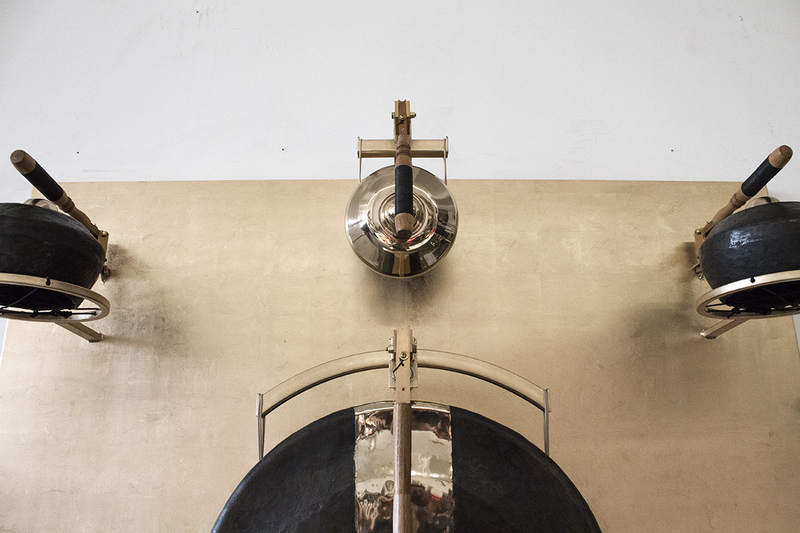 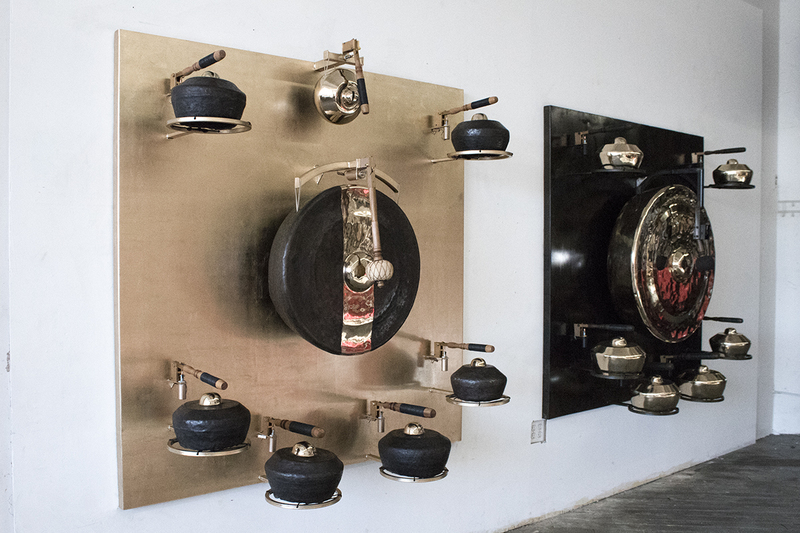 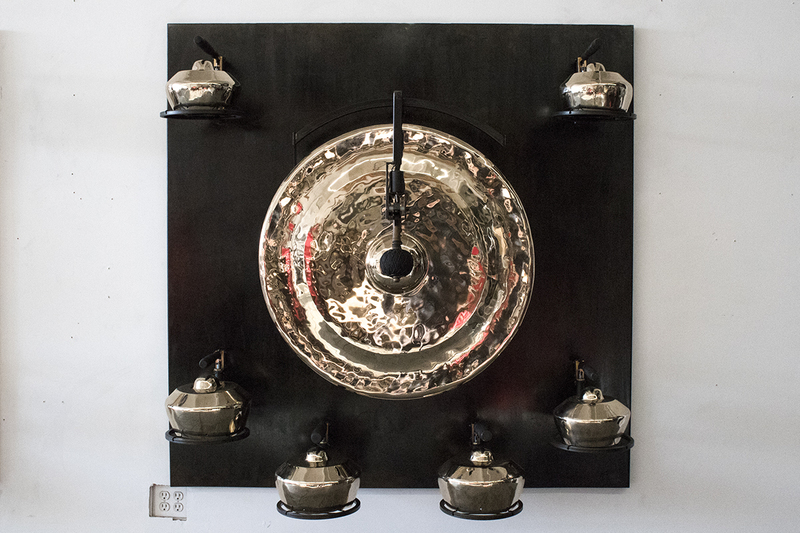 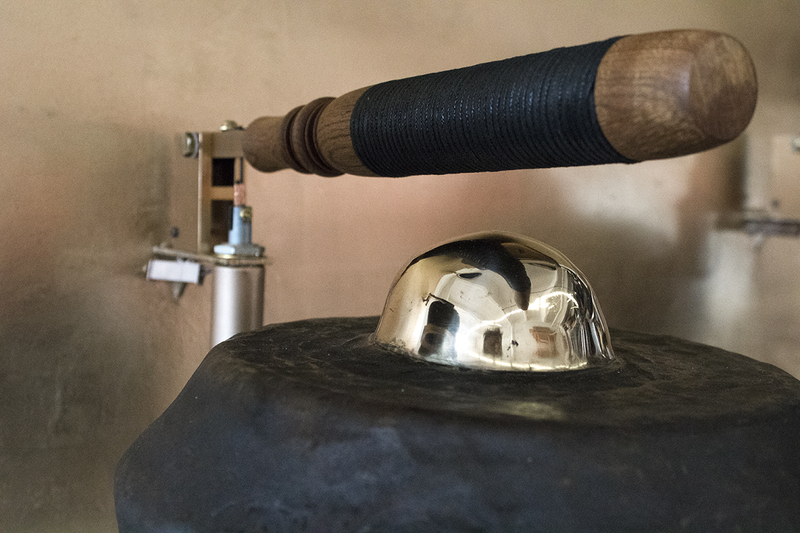 Mirror Polished javanese Gong Agung and 7 bonang, Blackened and patinated Javanese Kempul and 6 Bonang.